Honeycomb panels are made from glued strips of paper webs. Air pressure is used to blow the paper webs into their characteristic honeycomb form. In order to fixate the vertical paper webs, the honeycomb structure is glued with a top and base liner. Owing to the honeycomb structure, the panels are very light in weight, but yet rigid. The rigidity depends upon three factors: the thickness and basis weight of the top and base liner, the thickness of the web core material and the density of the honeycomb core. 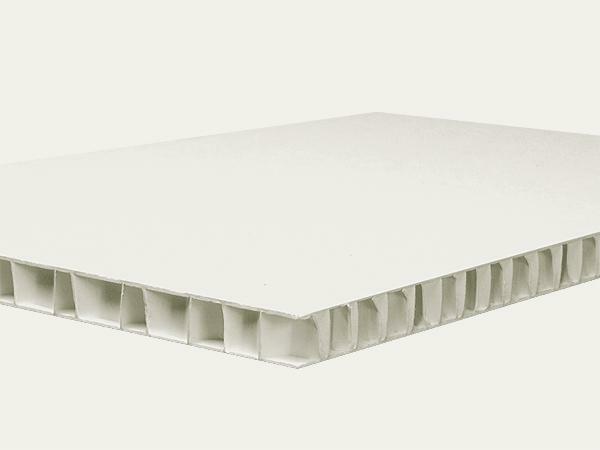 Due to technical reasons, honeycomb panels with a thickness of less than 7 mm cannot be produced.